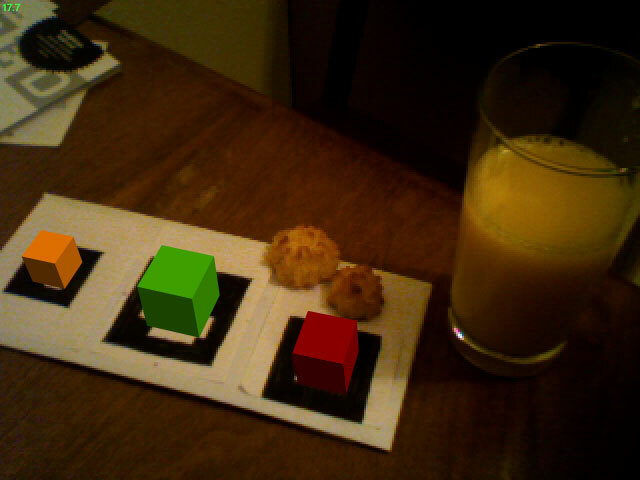 when i came across the GE augmented reality thingy, i realized that that kind of experience can finally happen online. i took a look at FLARToolkit, and was simultaneously excited and stymied — so much potential, but tricky to use and understand. i came across Mikko Haapoja’s excellent starter tutorial and got a much better understanding of the system. after a bit more digging, i decided to try to make FLARToolkit as accessible as reacTIVision. a couple weeks later, i finally have a small framework put together that makes steps in this direction. behold, FLARManager v0.1.